If you’re tired of shaving and experiencing the irritating prickly, ingrown hair it causes, waxing is a terrific alternative. Colorado Laser Spa offers a wide variety of waxing services to achieve your hair removal goals. Here at Gunnison’s single advanced aesthetics medical spa we use only the best quality hypo-allergenic hard and soft waxes to leave your skin feeling silky smooth for weeks. Hair removal by waxing offers a variety of benefits. For starters, waxing results typically last much longer than shaving as waxing removes hair by the roots. After continued wax treatments, the size of the hair bulb is reduced over time making future wax treatments more comfortable. When your hair does return after waxing, it will be finer, softer, and sparser with each waxing treatment. Shaving can also lead to skin irritation such as itchy bumps, ingrown hair, and uncomfortable hair growth. Waxing treatments cause minimal irritation. Hair removal methods such as epilation, electrolysis, and hair removal creams can cause skin irritation, pain, and burning, especially for those with sensitive skin. Waxing rarely causes these issues when done by an experienced professional like those at Colorado Laser Spa. In addition to hair removal, waxing can become a regular part of your skin care routine. Not only does waxing remove hair, it acts as an exfoliation method by removing dead skin cells. This means your skin will be silky smooth and will have a fresh, healthy glow. So whether you’re need is for a lip and chin wax, underarm wax, or a bikini line wax, look no further than Colorado Laser Spa. Men can also experience the benefits of waxing for the removal of facial hair and body hair. We offer facial hair removal so you don’t have to worry about that five o’clock shadow, especially while you are on long business trip or vacation. 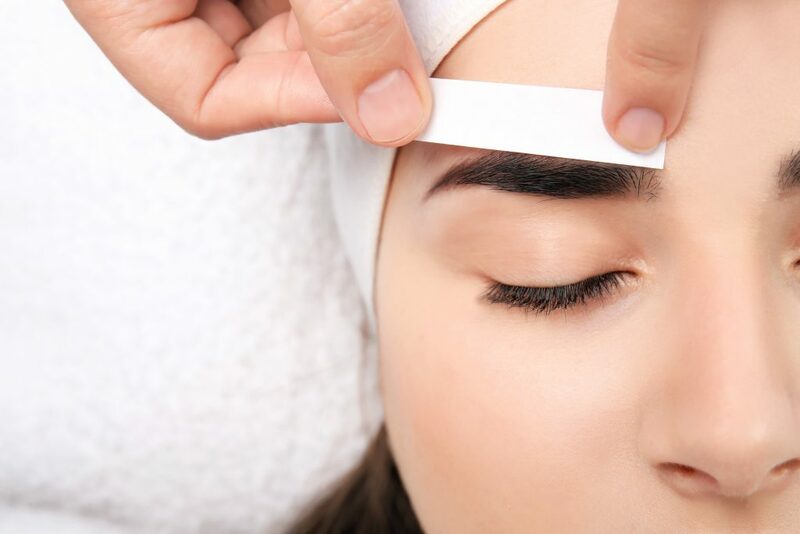 Whether you need eyebrow waxing to shape and perfect your brows, complete facial hair removal, or wish to treat unwanted body hair on the chest or back, our medical spa is here to help you look like a clean-cut, well-groomed professional for every work day or weekend warrior adventure. If you have fine lashes or fine eyebrows, there’s no need to waste time applying makeup day after day when you can experience the freedom of lash and brow tinting. Our experienced, licensed aesthetician can carefully color your brows and lashes using safe, natural tints. With eyelash and eyebrow tinting at Colorado Laser Spa, we enhance your look with natural, luscious, darker tints, giving you the appearance of fuller lashes and fuller brows. We offer many different eyebrow and eyelash tints to compliment every skin tone and hair color. Our aesthetician can even customize tints to perfectly match your lashes and brows which may fade due to aging, sun exposure, or a busy, active lifestyle such as participating in athletics. Brow and lash tinting are also a perfect option for those with a makeup sensitivity and contact lens wearers. Our lash and brow tinting services take only about 15 minutes and the results last for up to six weeks. End the day-to-day grind of throwing on makeup like mascara with tinting for your eyelashes and eyebrows. Save time, trouble, and money with our lash and brow tinting services that are completely customized to compliment your natural coloring. Contact our med spa today to book your appointment for fast and affordable lash and brow tinting that will free up time for you each day!